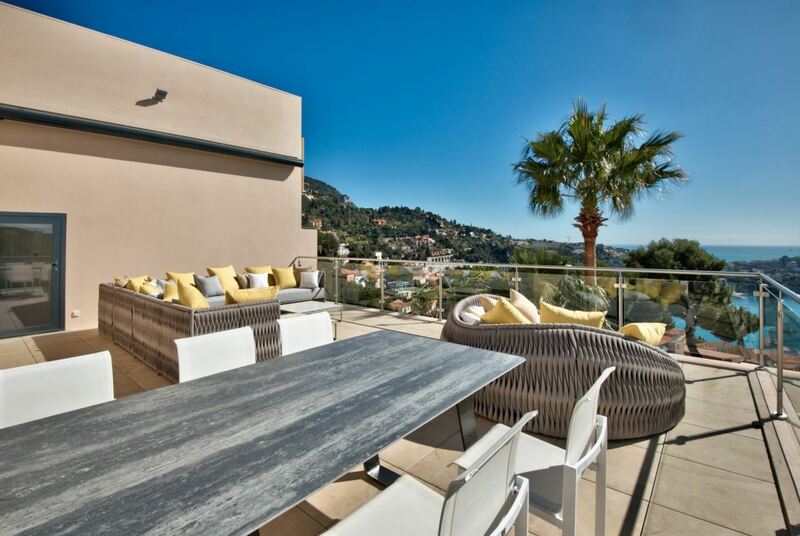 This exceptional recently renovated villa is situated in the highly sought-after region of Villefranche-sur-Mer. 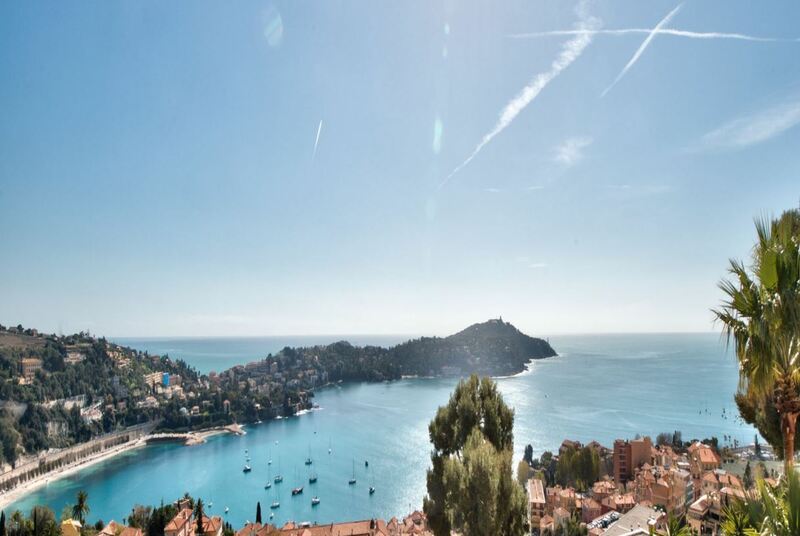 The property benefits from a spectacular panoramic view of the bay of Villefranche and St Jean Cap Ferrat. Guests are also just steps away from the village centre and the boutique shops. 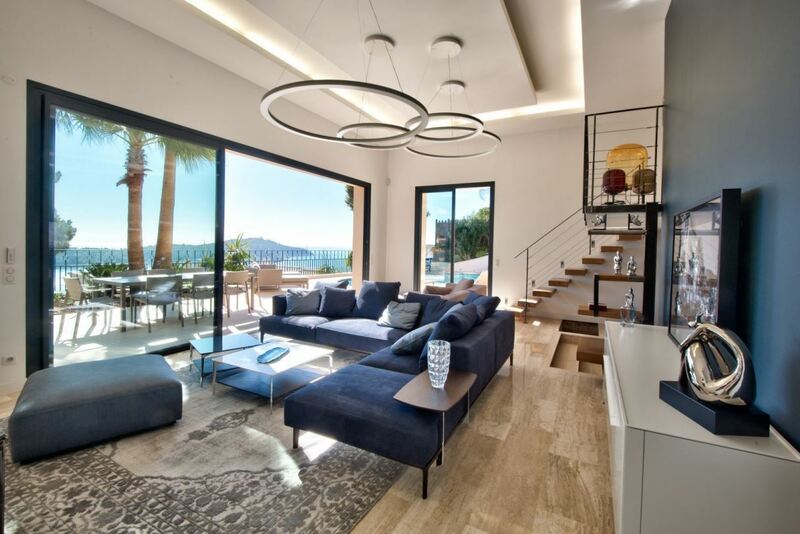 The ground floor of the villa consists of a spacious living room furnished with sumptuous sofas, a flat screen television and contemporary lighting. The room opens on to the villa’s fantastic terrace, complete with outdoor seating and dining furniture as well as a beautiful summer kitchen and a luxurious Jacuzzi. 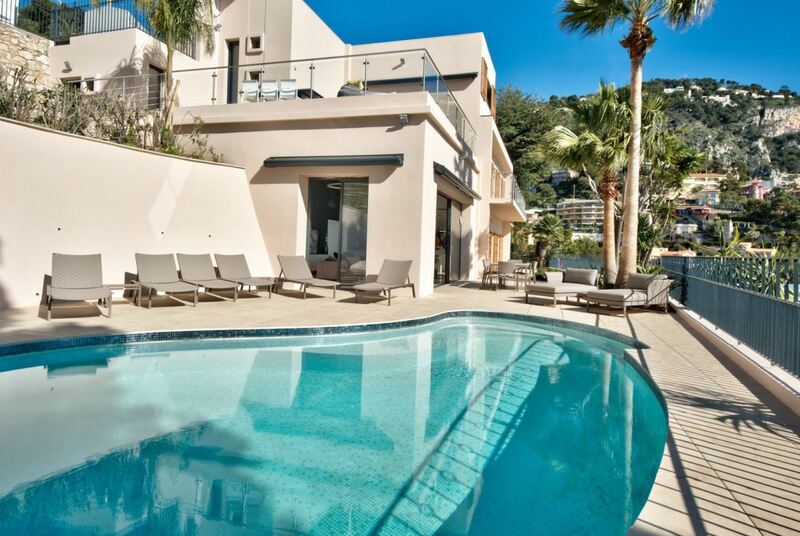 Guests can cool off in the property’s private swimming pool before soaking in the Mediterranean sunshine on the loungers surrounding the pool. A smaller living area is located just beneath the mezzanine level and makes for a more intimate setting for socialising. The fully equipped modern kitchen is open to the dining room making preparation for meal times a more convivial event. An office space is located on the mezzanine level. 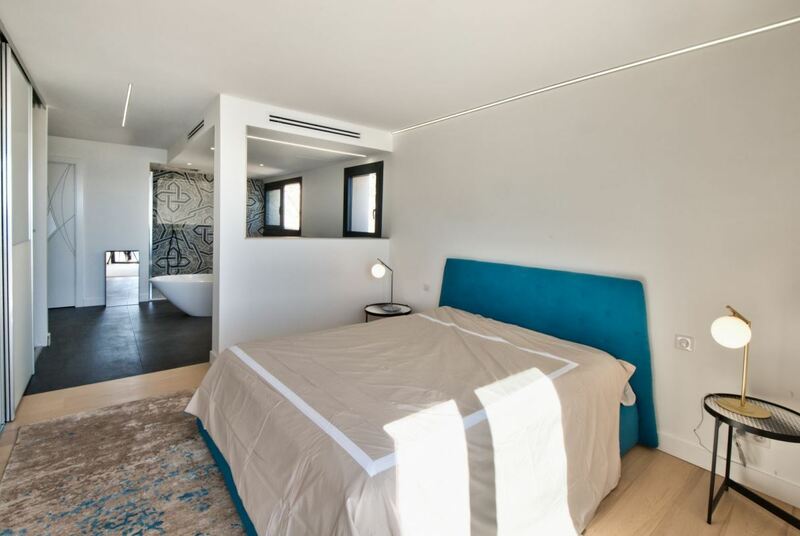 A guest bedroom can be found on this level of the villa and includes a lovely en-suite bathroom and a large dressing room. The first floor is where guests will find the stunning master bedroom, featuring its own en-suite bathroom and a large dressing room. An additional 2 guest bedrooms also include their own en-suite shower rooms and dressing rooms. 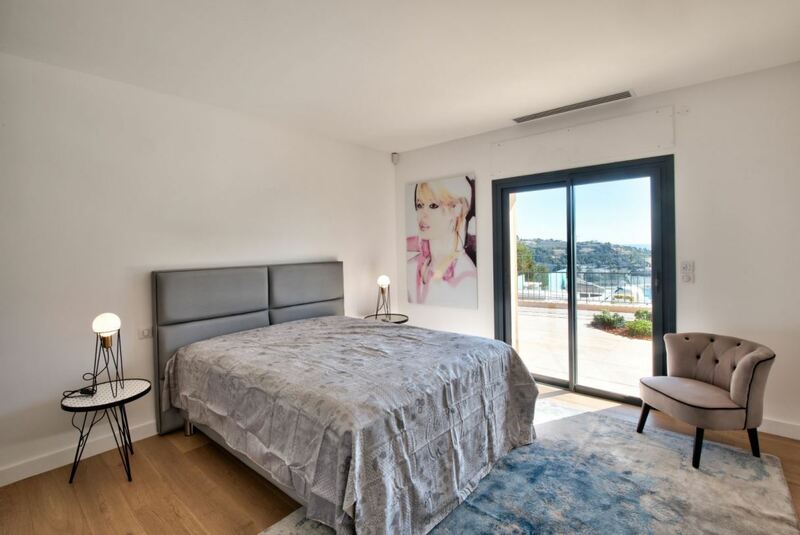 Each of the 4 bedrooms are tastefully decorated with tasteful yet contemporary decor, large windows to fully admire the views and plush beds to retreat to after a long day exploring the French Riviera. The bathroom includes a luxurious deep bathtub and shower rooms are equipped with wonderfully relaxing rain showers. 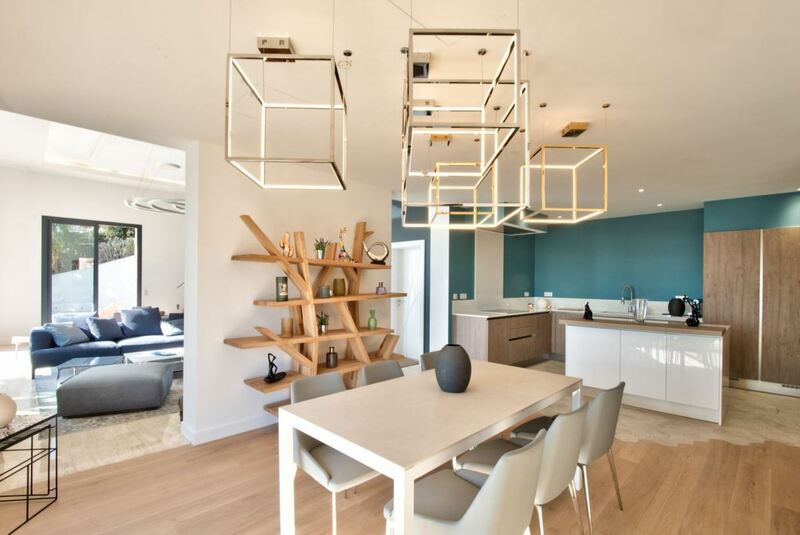 An independent studio is also included with this amazing property.